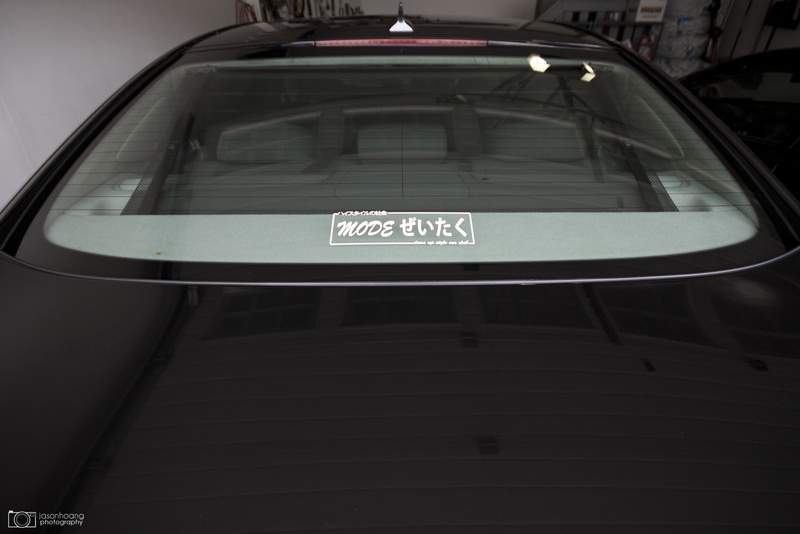 After a few weeks, the decals are finally done. 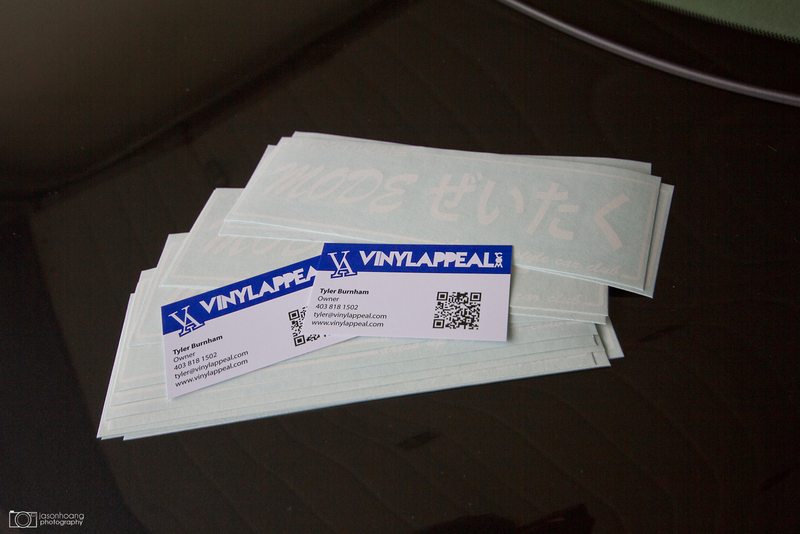 Huge thanks to Tyler over at Vinyl Appeal for getting these done for me! Hit him up if you have any decals you want done. They turned out looking great, even with the small lettering on the corners. 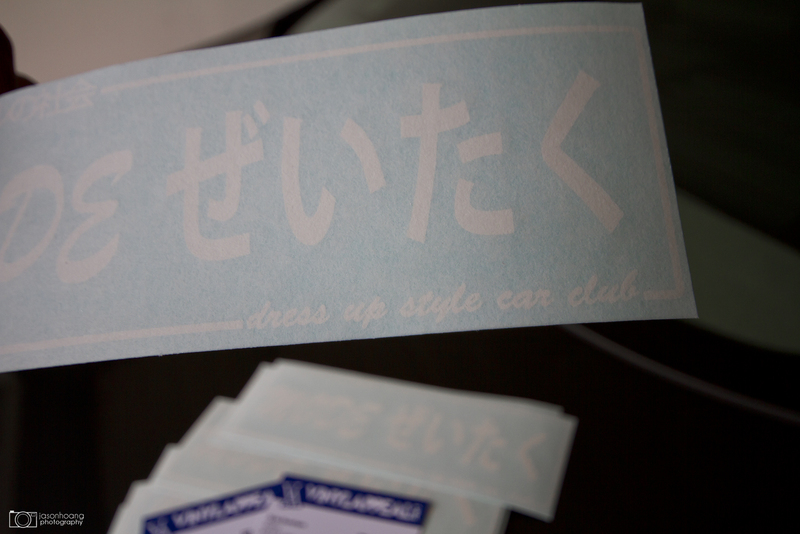 I love the look of them because they really resemble the classic Japanese car club decals. I’ve been thinking of making other designs but then it would just get crazy haha. I’ll look into putting them up for sale or something if anyone is interested… Until then, shoot me an email or message me if you want one asap. I wouldn’t mind one since I think they’re cool…but I own nothing Japanese. LOL! What a predicament. But for sure you can have one. How can I get one of these?! I wanna rep this in Winnipeg!!! You can paypal me at jayhoang@telus.net $5.00 and I’ll send it out to you. Include your address if you are not a confirmed paypal user. Thanks! I will send it out for you today!